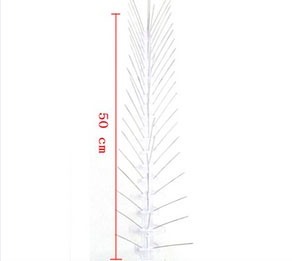 Bird spikes are designed to keep birds away from roofs and eaves. One strip is 0.5 m long, spikes are 10 cm high. 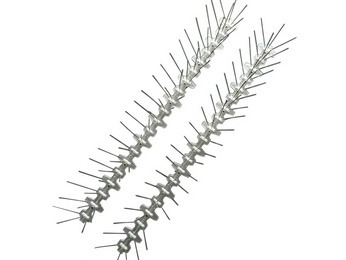 Anti Bird Spikes strip is secured to the construction using screws, nails or glue. Works effectively against all birds, especially for pigeons, seagulls and swallows.